Halloween is just around the corner, have your decided on a costume yet? More importantly have your kids? As my family grows the idea of a group costume becomes more appealing, I mean how adorable is that? Last year Little Lady chose to be a bunny. After putting together her costume I thought it would be perfect if the rest of the family could coordinate. We ended up being an odd little farm family with a bunny, a cow, a farmer and a carrot. It worked and we all had a blast. This year I’m not sure we can pull it off, but I am loving all the possibilities. 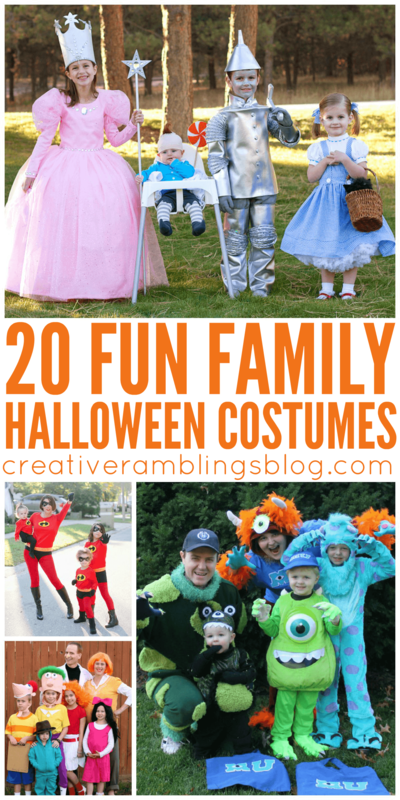 I found 20 Fun Family Halloween costumes that are just too cute. 8. Bob Ross, Happy Little Tree & Squirrel Family Costumes | C.R.A.F.T. 17. Skeleton Family | B-Inspired Mama! 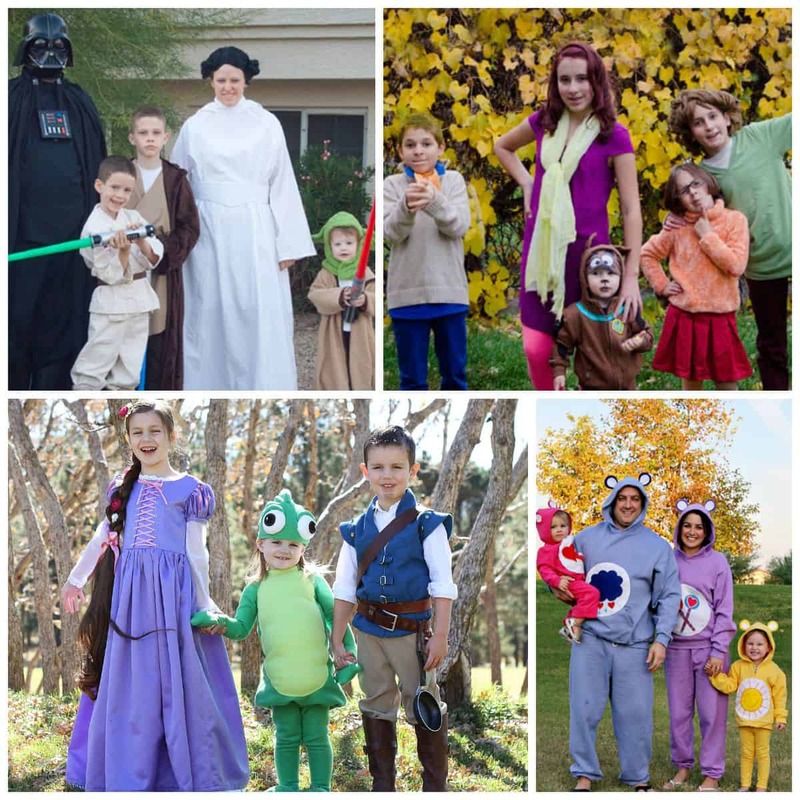 Have you ever done a family or group costume? I’d love to hear all about it. If not, tell me what your ideal family costume would be. Such a cute roundup Sarah! Pinned. thx so much for sharing some of my family costumes! I’m still trying to figure out what to do this year, so thx!